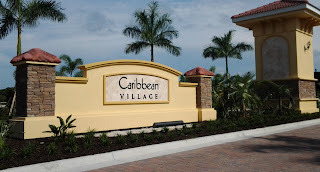 This week, I visited Renaissance, The Preserve at The West Villages, and Oasis at The West Villages in Venice, FL. 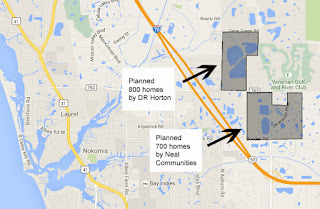 I periodically visit every major new home community in Sarasota, Venice, and Lakewood Ranch to stay on top of the latest news and developments. I'm always amazed at how quickly things change. The pool and clubhouse in The Preserve is completed, and most of the first phase of villas is under construction, with no vacant lots. While The Preserve doesn't have a huge "wow" factor such as big water views or a massive club house, many buyers will like the price points and the fact that only 224 residences will be built here. Construction at Oasis is coming along quickly. The model homes have been open for a couple of months now, but since my last visit in July, a lot more homes are being built, and the monument sign by Tamiami Trail is up. Oasis will have 134 executive homes with 3 car garages and large outdoor living spaces. Prices start in the mid $400's. At Renaissance, the first phase is virtually sold out, with only a handful of quick move-in homes and villas available. The second phase looks to be about three times the size of the first phase, and I probably have the first aerial photo for you. The resort style club house and pool should be open soon. Remember, new construction homes cost the same when you're working with your own Realtor. Download my free West Villages New Construction e-book guide.